Support for ADB included so users can finally debug Android apps on Chrome OS. Google’s involvement and effort in grooming Chrome OS in the last few years has been somewhat on-again, off-again. This time around, it’s definitely on again as it brings an array of fresh additions and improvements to the OS designed around its established web browser, Chrome. Touch support on Chrome OS has thus far been unreliable as the OS was primarily designed for laptops. However, in Chrome OS 67, Google has added ‘touchable Material Design 2.0’, which should make touchable elements on the browser easier to tap. It has borrowed the new rounded ‘Modern Design’ elements from the Android version of the browser and has also incorporated new icons in the address bar. Last year, Google announced it would replace Chrome apps on all desktop platforms with Progressive Web Apps (PWA). Since then, it has offered PWAs as a feature whose enabled/disabled flag had to be manually set in Settings. Now the flag is set to enabled by default. With Chrome OS 67, Google has added Split Screen support and power menu shortcuts for Tablet Mode. This addition seems relevant as we’re seeing more and more Chrome OS with touchscreen support sprout up in the market. Other additions made by Google in Chrome OS 67 include support for ADB over USB to allow users to debug their Android phones, an improved Bluetooth device list, support for zipping files on Google Drive from the Files app, and a new emoji shortcut in the context menu (the menu you see when you right-click) of text fields. 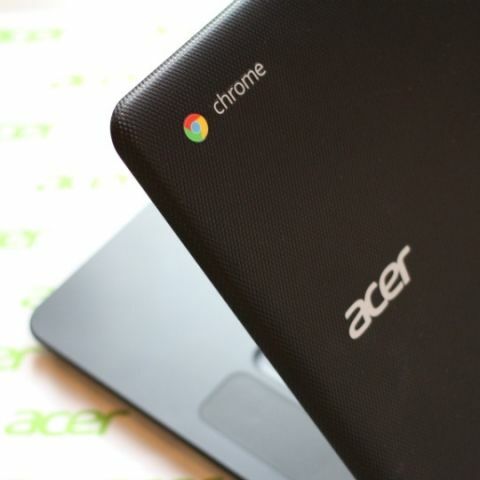 This new version of Chrome OS also packs numerous bug fixes and security updates. It should start downloading and installing on Chrome OS devices in the next few days. Google has published a longer list of changes and additions to the OS in its blog for stable Chrome OS updates.